THE COUNTY KILDARE farmer who took on the IDA – and won – is now seeking to prevent the go-ahead for a planned new $4 billion (€3.5bn) facility at Intel’s Leixlip plant. This follows farmer Thomas Reid lodging an objection with Kildare County Council against the new application by the US micro-chip giant for an extended and revised manufacturing fabrication facility, known as a “Fab”. Reid has long been a thorn in the side of the US multinational in the planning arena and this is the seventh Intel Leixlip application the farmer has objected to since 2012 with six previous Intel applications brought before An Bord Pleanála by Mr Reid. In 2016, Intel secured planning permission for the first phase of the ‘fab’ facility valued at $4 billion and the new application, which is an extension of the original plan, represents an additional investment of $4 billion. In total, the $8 billion (€7bn) investment – which will employ 6,000 construction workers at peak and 1,600 full time jobs on completion – will represent the largest single private investment in the history of the State on one project if given the go-ahead by Intel globally. Consultants for Intel have told Kildare County Council that the firm has already invested $12.5 billion (€11bn) on its site at Leixlip and the firm is seeking a 10 year planning permission for its new application. However, Reid of Hedsor House, Blakestown, Carton, Maynooth, is seeking to frustrate the multi-national’s plans after lodging a two page hand-written objection against the new application. The objection will now entitle Reid to appeal any decision to grant permission by Kildare County Council to An Bord Pleanála. In his objection, Reid claims that the planning application is contrary to the proper planning and development of the area. In the objection, Reid – subject of a award-winning documentary last year over his successful Supreme Court battle with the IDA – stated that he is calling on Kildare County Council to refuse the application outright. Former Labour TD, Emmet Stagg has lodged a submission, but in favour of the Intel application stating that the proposed development will reinforce the Leixlip site as a centre of world class excellence in the knowledge based economy. Reid unsuccessfully opposed the $4 billion first phase of the ‘fab’ plan in 2017 when lodging an objection against the application and then appealing the Council decision to An Bord Pleanála. In 2015, Reid emerged victorious in his battle with the IDA where a unanimous Supreme Court found that the IDA making of a Compulsory Purchase Order (CPO) for Reid’s 72-acre farm adjacent to the Intel campus had been in excess of the IDA’s powers. The five-judge court overturned an earlier High Court decision, which would have cleared the way for IDA to purchase the site, for development, against Reid’s wishes. The costs associated with the case left the IDA with a bill of €1.375 million. Email “Kildare farmer Thomas Reid lodges fresh objection in ongoing battle with Intel ”. 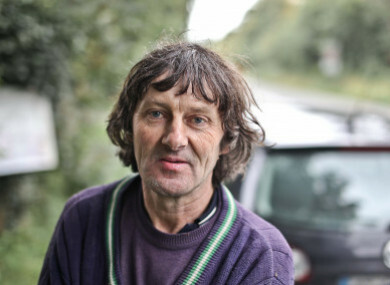 Feedback on “Kildare farmer Thomas Reid lodges fresh objection in ongoing battle with Intel ”.